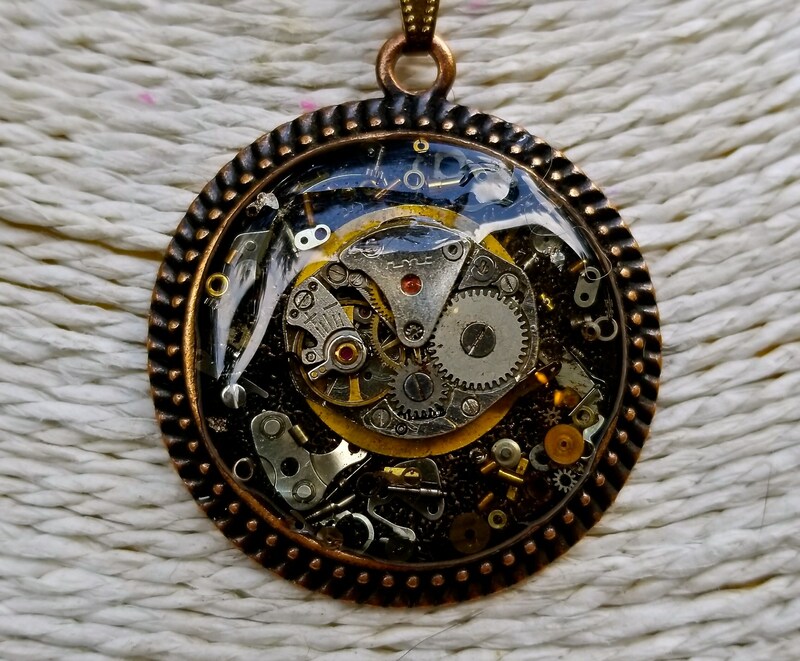 Get your own steampunk style on with this hand-crafted amulet. 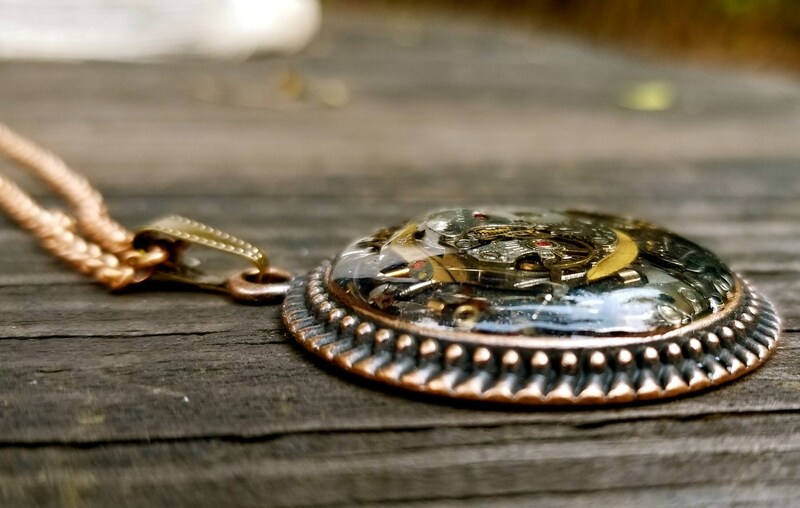 Pieces of a disassembled watch rest on a bronze circle tray. 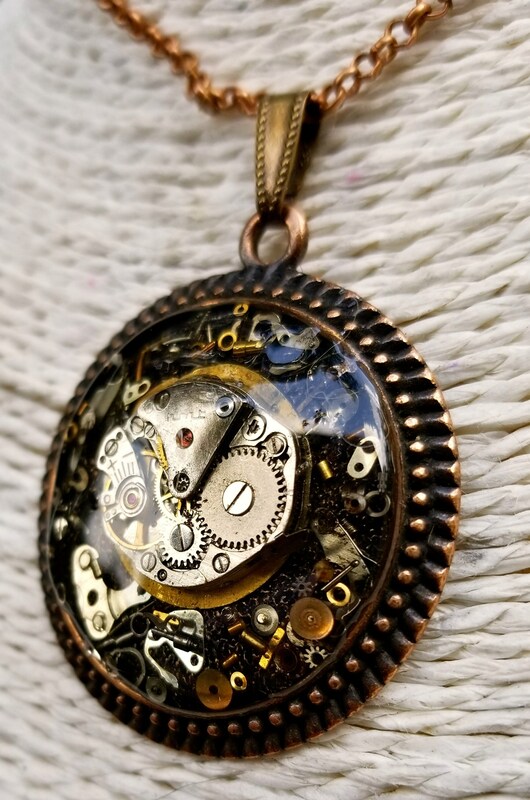 Gears, screws and tiny watch hands are suspended in resin around the main watch gear. The pendant is 30 mm. Select your own length at check-out, from 15 to 23 inches, and choose between copper and silver.